Here’s a perfect example of a family who loves their pool table. 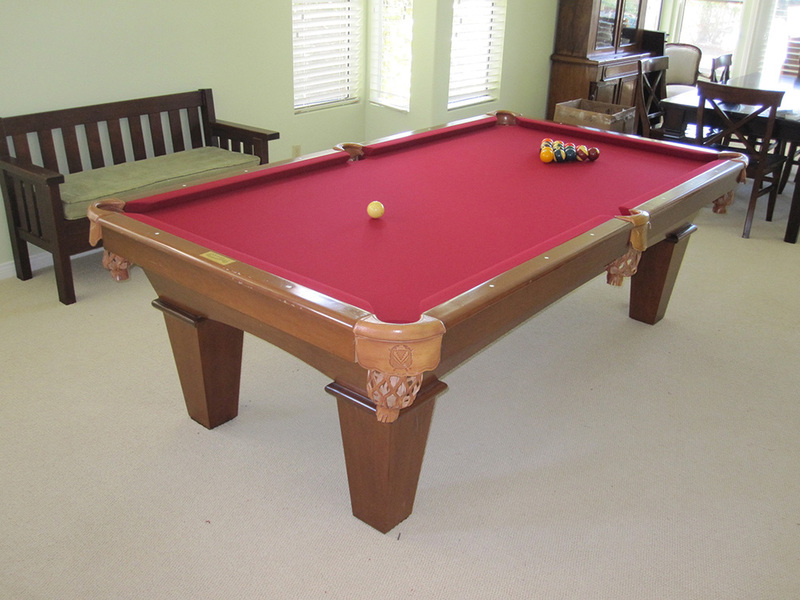 Back in 2002 we setup this eight foot Connelly pool table in South Orange County. After a few years the family was transfered to Barbados, so their pool table was disassembled and the slates were crated for protection. For the next couple of years the pool table sat in storage until another transfer came along. This time the family relocated from Barbados to Miami, FL. This is where their prized Connelly pool table was resurrected, the pool table was setup and refelted in Euro Blue. A few years and many enjoyable games of pool later, the family, yet again was relocating. This time, to beautiful Laguna Niguel, CA. So their pool table once again was disassembled and the slates crated for protection. This is where we come into the picture again. The family hired us to uncrate and setup the pool table again but they weren’t feelin’ the Euro Blue felt in their new home. So Mike and Nicolle came down to our showroom to check out some different felt colors. They liked the Camel, Evergreen, Mahogany and Burgundy. But after much back and forth discussion the two decided on the Burgundy. So Rory set their appointment and we showed up a few days later to resurrect their beloved Connelly pool table. 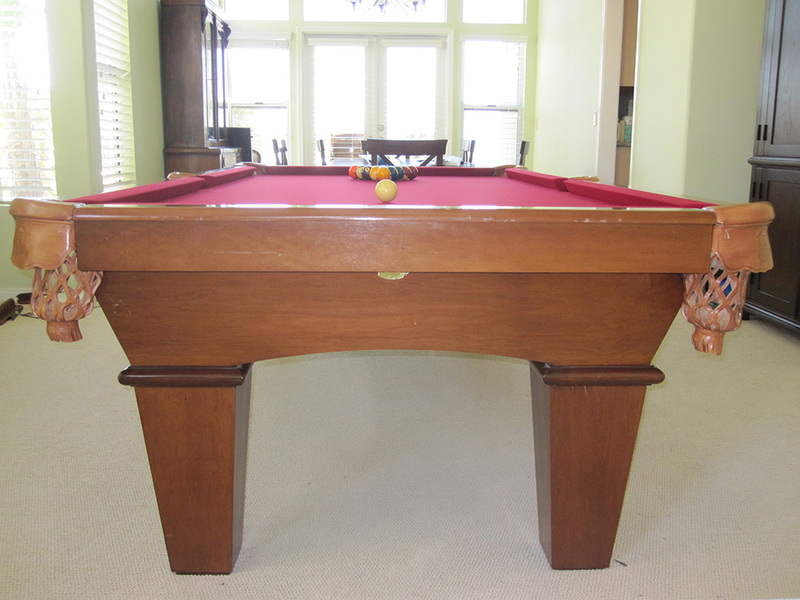 There are only a handful of pool table manufacturers that I consider to be high quality. Connelly is by far one of the best, considering that this pool table was originally purchased in 2001 in Virginia, it has been taken apart and setup many times over. It’s structural integrity still sound. So here’s a look at the finished product, looks great, plays great. Hopefully the family will continue to cherish their Connelly pool table for another decade and beyond!